What Is Meant By Effort And Power Of A Governor? Read: What Is A Governor? 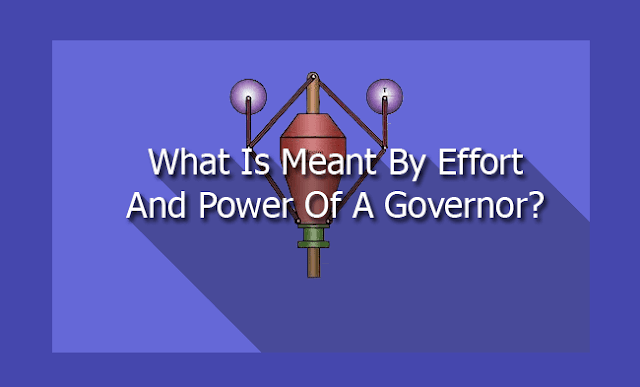 Governor effort and governor power are the tools that can be used to compare different type of governor. 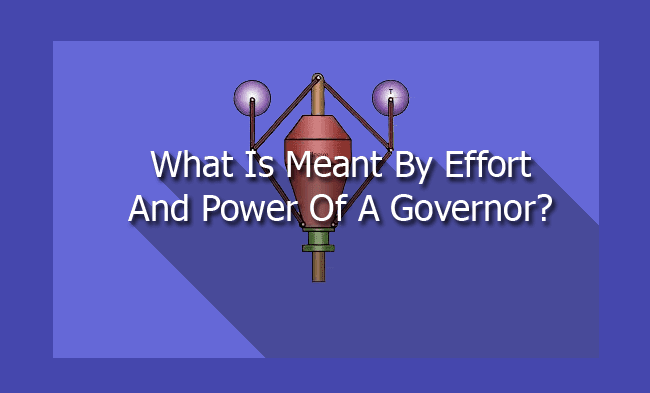 Effort of governor is defined as the mean force exerted at the sleeve of governor for a given percentage of change in speed of spindle or lift of sleeve. When governor running at constant speed, the force exerted on the sleeve is zero. When the governor speed changes the spindle moves up or down to new equilibrium position. There will be a force that prevents this movement of sleeve. The resistance is equal to Effort of governor. This resistance varies from maximum to minimum as the sleeve moves to the new equilibrium position. Power of governor is defined as the work done at the sleeve of governor for a percentage change in speed. It is equal to the product of mean governor effort and the distance through which governor sleeve moves.